Fairy tales are such a fun topic for kids. There are so many great ones and the stories are exciting, interesting and memorable. 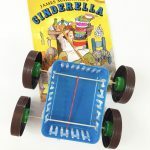 We have been reading Hans Christian Andersen’s Fairy Tales book as a family and loving it, so this post has some fairy tale lesson ideas. The fairy tales by Andersen are many of the ones we are all so very familiar with, but reading this book we discovered a few new favorites, too! We have a hard copy version of this book by Junior Library and illustrated by Arthur Szyk. But these stories are readily available online for free. 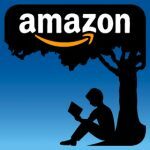 You can get a free Kindle version HERE. You can also hear all of the audio of the books on Librivox. To make it even easier, you can download podcasts of them for free on iTunes. 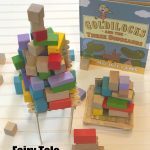 I made a simple lesson to help you teach your kids about Fairy Tales, just 2 pages. The first is called Chart the Fairy Tale. It helps you teach the parts of a fairy tale. 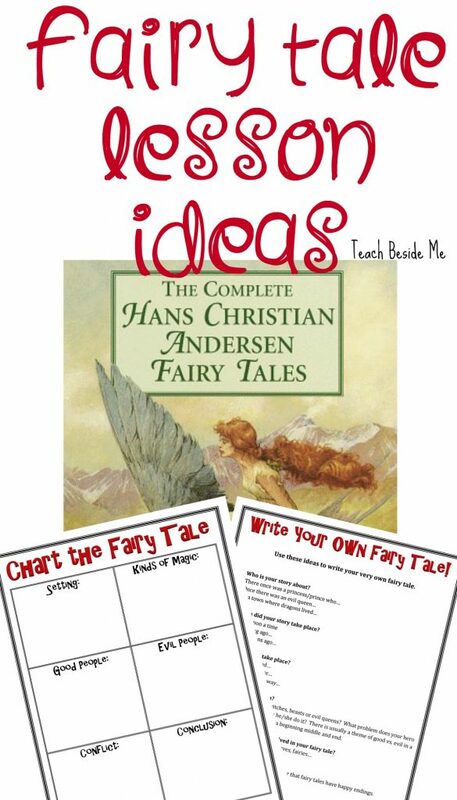 The second page has story ideas to help your kids write their very own fairy tales. It gives them some guidelines and ideas to get their minds going and be creative. 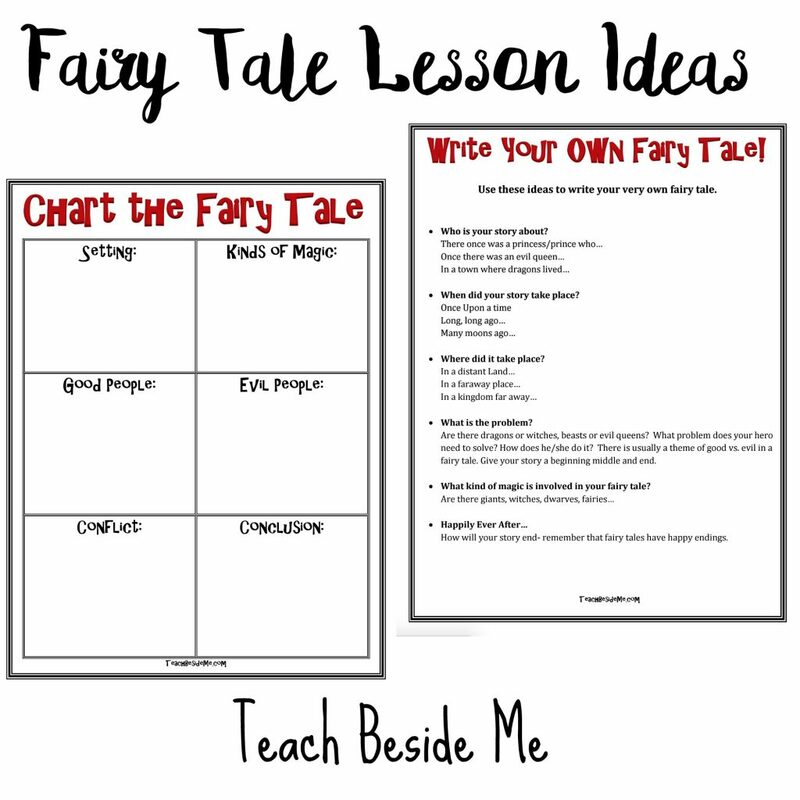 Feel free to download my fairy tale lesson HERE. 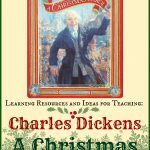 Scholastic has a biography on Hans Christian Andersen. Learn even more about him from another the Andersen Center. Check out the the Andersen Fairy Tales site. It has stories, games and printable pages. Learn about Fractured Fairy Tales on this interactive site. See images of Andersen’s Fairy Tales on postage stamps. Also… here are some darling videos on YouTube based on Andersen’s classic stories. My kids LOVE these! A great way to study what makes a fairy tale! I love so many of his stories!